Blog 35 Emails a day. Are we being lazy? As a sales person, you may wonder what sales from other companies are doing. How many emails do they send every day? How many deals do they close? The conversion rate is 0.4%! That means if you contact 1,000 potential customers, you get 4 customers on average. So to become a successful sales person, you need to consistently contact potential customers. If you do not contact enough people, even though your conversion rate is high, you still do not get enough customers. So are you sending enough emails? 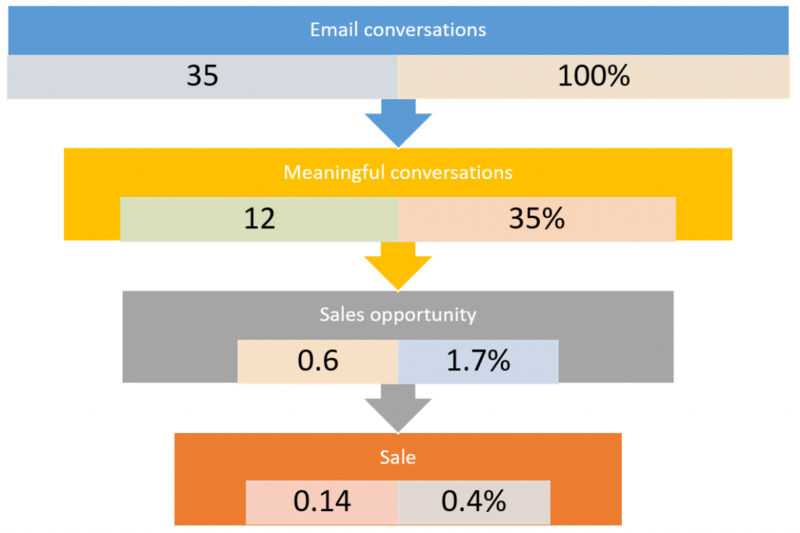 Sales is a number game. We need to consistently contact potential customers to close deals. The problem with sales is that not everybody needs to be buying something all the time. The market could just be saturated with too much supply and not enough demand.